Connie, July 17 1938, courtesy of Cole Johnson. Sorry, this is indeed the Sunday from July 17, 1938. You skipped almost a year to give us another complete story, thank you. I wonder if you can get access to the late Cole Johnson's collection, to find more great stuff to reprint. I'm sure that the spirit of Cole would smile upon you! While on the subject, let me say how sorry I am that Mr. Johnson died. I know he was a good friend of yours. I have become very used to seeing his name on your blog. Comics people ought to live forever, or at least twice as long as mere "regular" people. Thank you for that sentiment. It isn't easy to find an adventure/sci fi continuity that isn't common or already reprinted many times. One of Cole's special interests was the Philadelphia syndicates, of which Connie belonged to the last of them, the Ledger Syndicate. 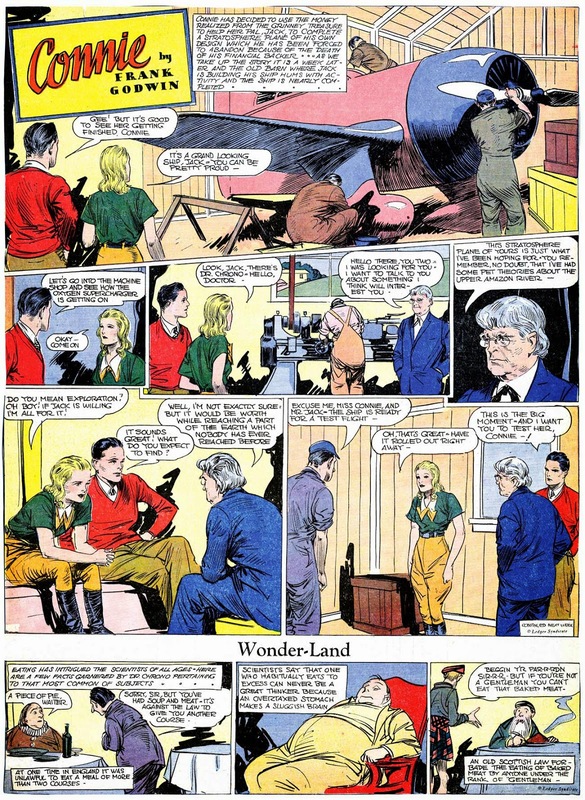 Though the prolific Crawford Young rarely signed his Syndicated Features strip, The Jamms, it resembles his Central Press feature The Tutts enough that it almost seems like the Sunday strip version of that daily panel. It's not a carbon copy, though, as the Tutt family included a gaggle of children, and the Jamms appear to be lacking in that department. The Jamms was a half-pager throughout the run of the Syndicated Features tabloid run. It debuted on July 13 1936, and ended with the section on March 8 1937. More then THE TUTTS, it remember me of CLARENCE. I know these two strips cover the same territory as a thousand other strips, but i found these two samples quite funny. Is it his craft, was I just in the mood or both. Regardless, once you've completed the tour de Syndicate Features, can you spotlight the Tutts? You have quoted the Syndicated Features section beginning on July 13,1936, two times, but wouldn't the debut issue actually read, "WEEK OF JULY 12"? The Syndicated Features section, which I used to think was preprinted with a "Week Of" date that was consistent, turned out to be anything but as more newspapers were found that ran the section. At this point I don't really know how to date the sections properly. 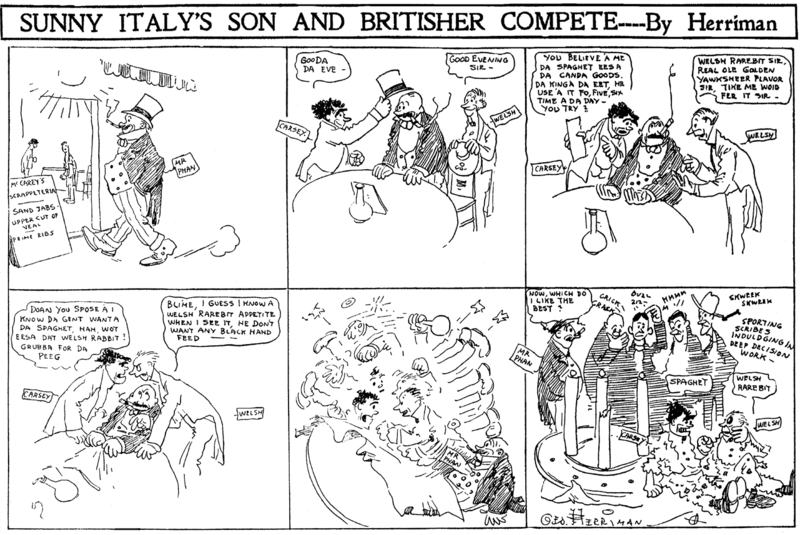 Some of the cartoonists did, early on, date their strips, but even those dates aren't entirely consistent. Thursday and Friday dates are prevalent, but Saturdays are seen as well. I'm up for anyone who'd like to make a case for a consistent dating system that makes sense for these. 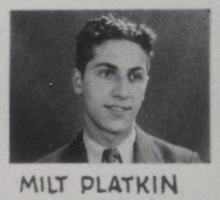 Kin Platt was born Milton Platkin in New York City on December 8, 1911. 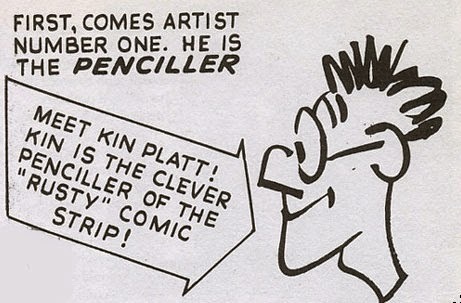 His birth name was revealed in Dave Kiersh’s profile of Platt. The birth date is from the Social Security Death Index. …he had a difficult youth, running away from home at age seven, and he was always pushing the bounds of the acceptable. By ten, he was drawing all the time, copying cartoons and dreaming of having his own syndicated comic strip one day. He was also involved in sports, both running and baseball. And to fill any empty hours, he read voraciously and indiscriminately, up to five books per day…. 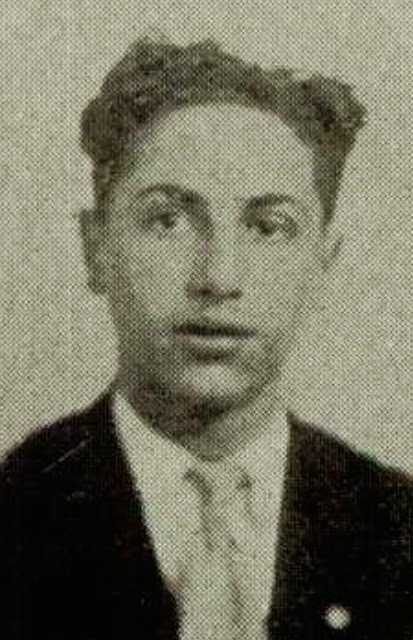 In 1929 Platt graduated from James Madison High School in Brooklyn, New York. The school yearbook, The Log, said Platt lived at 2294 East 23rd Street, and was a member of the track team, sketch club and art squad. He also was a cartoonist on the Newark Evening News. According to Something About the Author, Platt had no thought or money for college. “To my mind it was a waste of time and I had to make my living by drawing.” He made caricatures of theater and screen stars, and then added political cartoons. In 1930, Platt’s family was in Brooklyn at 2331 Kenmore Place. Platt was a staff member of the Fleischer Studios which published a 1930–1931 personnel chart. 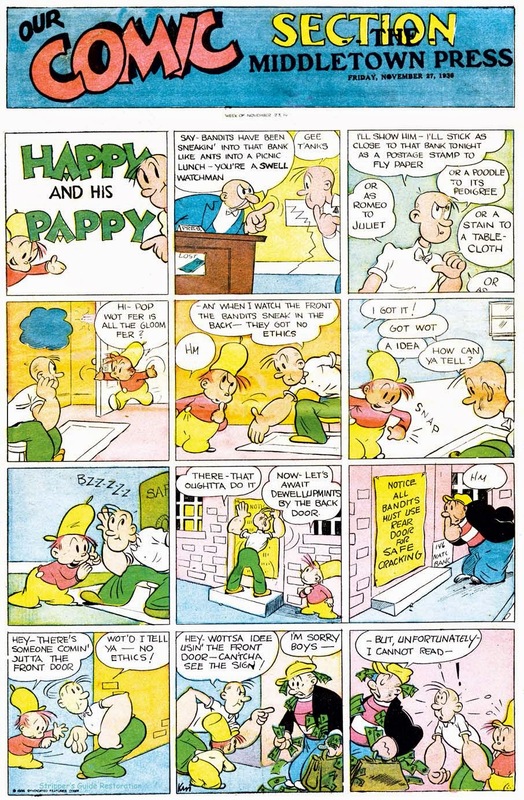 Platt is credited for the color comic strip, Happy and His Pappy, which was signed Kin. American Newspaper Comics (2012) said it debuted July 13, 1936 and ended March 8, 1937. 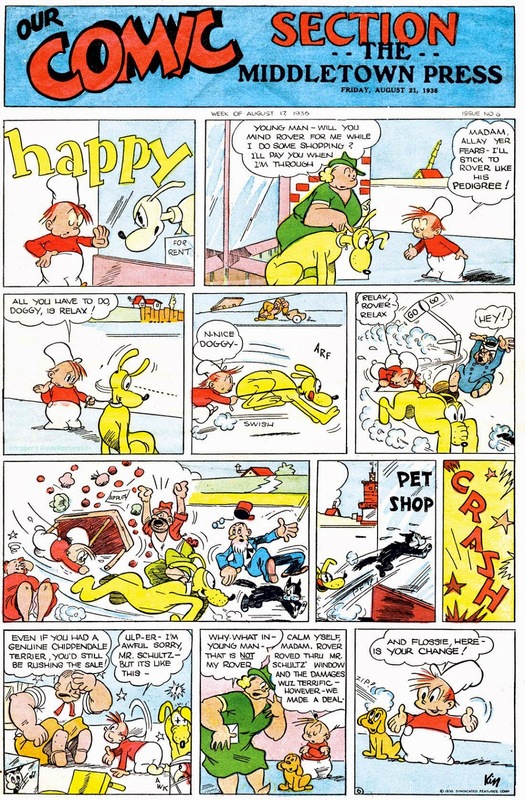 The strips were reprinted in Best Comics #1, 2, 3, and 4; and Startling Comics. Something About the Author said Platt ventured in radio where some of his “scripts were adapted for use by both Jack Benny and the comedy team of Stoopnagle and Budd”. 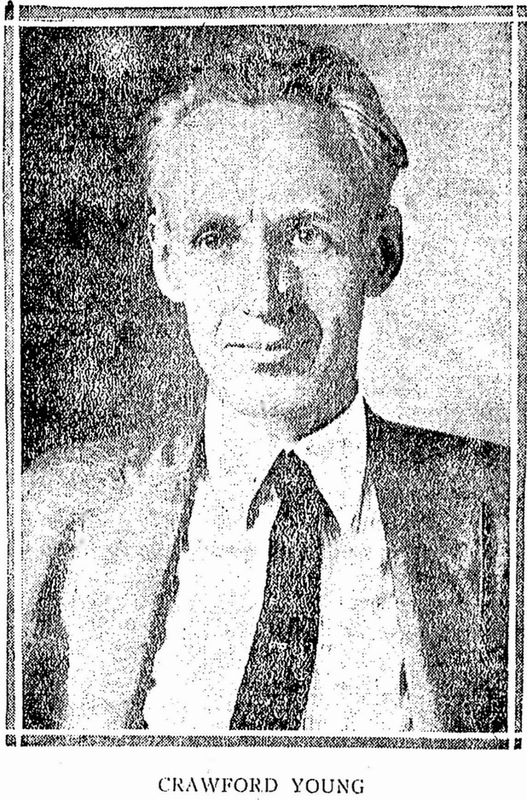 Then in 1936, Platt went to Hollywood to pursue radio full-time. Leaving radio, Platt found work in the story departments of MGM and Disney. His experience in animation would pay off years later with scripts for Top Cat, the Flintstones, Jonny Quest, and the Jetsons. Platt has not yet been found in the 1940 census, which recorded his divorced mother and three sisters in Los Angeles, California. Platt spent most of the war in the Far East working on a newspaper, Hump Express, and writing and drawing a weekly cartoon strip depicting scantily clad women—the GI’s favorite visual art. He also wrote a musical and had a traveling troupe that entertained GIs in China and Burma. He did not take to the regimented life of a soldier any better than he did to writing teams in Hollywood, writing his own orders when he felt like it, but by the end of the war he had been awarded the Bronze Star….Back in New York, he [took] over the well-established syndicated cartoon strip “Mr. and Mrs.”…His own strip, “The Duke and the Duchess,” which stayed in syndication for five years and got him into a bit of hot water with his editor when he decided to take on the communist-baiting senator Joe McCarthy. His work on Mr. & Mrs. ran. from August 9, 1948 to September 22, 1963. The Duke and the Duchess started April 20, 1952 and ended April 18, 1954. From the early 1960s to the mid-1980s, Platt turned to writing for children, young adults and adults. Platt passed away December 1, 2003, in Los Angeles, California, according to the Social Security Death Index. Other sources say he passed away November 30.